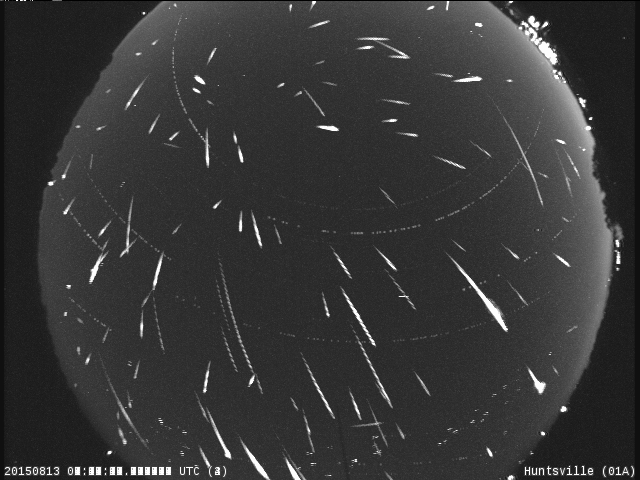 A composite image combines about 120 meteor images taken by the NASA All Sky Fireball Network station at Marshall Space Flight Center in Huntsville, Ala. on August 13, 2015. 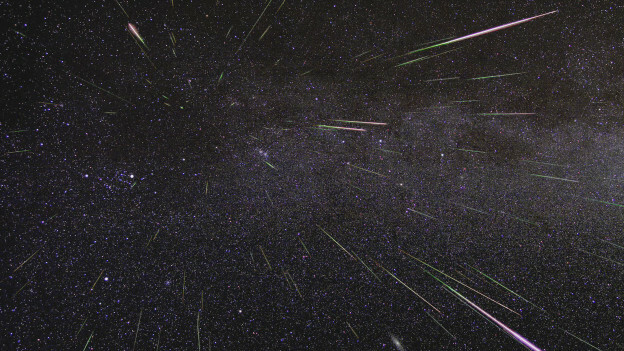 The majority of the meteors are Perseids. Danielle Moser of the Meteoroid Environment Office compiled the composite image.